CarGurus has 13,597 nationwide XC90 listings starting at $1,200. Despite a fairly comprehensive redesign for 2014, Volvo’s well-wrought XC90 midsize luxury crossover looks freshened on the outside, but remains burdened with what many reviewers call a dated interior design. For this year, a reworked fascia with upgraded grille and LED running lights give the entry-level XC90 3.2 and its top-shelf R-Design sibling a slightly more contemporary visage. Meanwhile, this 7-passenger mini-ute still carries a hefty 93.2 cubic feet of cargo space with the rear seats folded, and a few cabin upgrades for 2014 do add a few needed improvements to its dated interior appointments. Again available in two trims, the Base 3.2 and the up-featured 3.2 R-Design, the latest XC90 iteration returns in standard front-wheel drive (FWD), but of course Volvo’s Electronically Controlled All-Wheel-Drive w/Instant Traction, which will simply be labeled AWD here, is now offered as a standalone option. As well, the Base 3.2 gets new C-pillar badges, front and rear floor mats and a folding front passenger seatback standard for this year, while the 3.2 R-Design sports a new exterior color choice, a remote garage door opener and a digital compass. Furthermore, a couple of additional options packages, the Premier Plus (both trims) and the Platinum (3.2 trim only) are now available as well. Maintaining tradition, the variable-valve-timed (VVT) 240-hp 3.2-liter inline 6-cylinder (I6) powerplant carries over into this year’s XC90 variations and is again managed by the 6-speed shiftable automatic transmission to put out 236 lb-ft of torque. Look for towing to be maxed out at just under 5,000 pounds with the available hitch and wiring installed, while estimated mileage remains 16 mpg city/23 highway in both FWD and AWD configurations. Volvo’s AWD system, meantime, allows cruising in FWD under normal road conditions and maintains the capability to instantly transfer torque from the wheels that slip to the wheels that grip, whether front or rear, when things get dicey. As a high-end crossover, the latest XC90 3.2 flaunts a plethora of fancy appointments, some new and improved, some showing their age. The 18-inch alloy wheels remain decorating the exterior of this base trim, as do the standard roof rack, power sunroof, skid plates and heated power-adjustable mirrors. 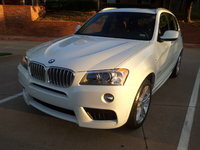 Inside, this entry-level trim also sports standard leather upholstery, power-adjustable front seats and full power accessories, as well as alloy and leather cabin trim and memory for driver's settings. Cruise control, of course, remains standard, as does telescoping tilt-wheel steering, an auto-dimming rear-view mirror and rear parking sensors. Dual-zone climate control embraces all occupants, while Bluetooth hands-free communications are complemented by a 160-watt stereo boasting a single-CD player, 8 speakers, satellite radio and a USB port. The 3.2 R-Design, meanwhile, adds 19-inch alloy wheels, a remote garage door opener (new for 2014) and further upgraded cabin bling to the list of standard features. Options for both XC90 trims include the Platinum Package with active high-intensity-discharge (HID) headlights, upgraded wood cabin accents, DVD-based navigation and Volvo’s Premium Sound System with 650-watts of power, 12 premium speakers and Pro Logic II Surround Sound. The Climate Package, meantime, is available to both trims as well, and flaunts heated front seats and upgraded cabin air filtration. Finally, a couple of available goodies, like rear-seat DVD entertainment and Volvo’s BLIS (blind-spot information system) technology, once offered only in package form, now can be delivered as standalone extras. Lastly, the Premium Plus Package offers available active dual xenon headlights, a remote garage door opener, upgraded cabin décor and a fold-flat front passenger seat to the Base 3.2 trim. Safety-wise, look for each of the 2014 XC90 trims to carry standard 4-wheel antilock brakes (ABS), traction and stability control, front side-mounted airbags and 3-row head airbags. Turn-signal-integrated mirrors, new LED-enhanced daytime running lights, dusk-sensing headlights and the trusty old remote antitheft alarm again come standard on both trims, while the R-Design returns with the aforementioned standard HID headlights (self-leveling optional), as well as headlight washers and wipers. 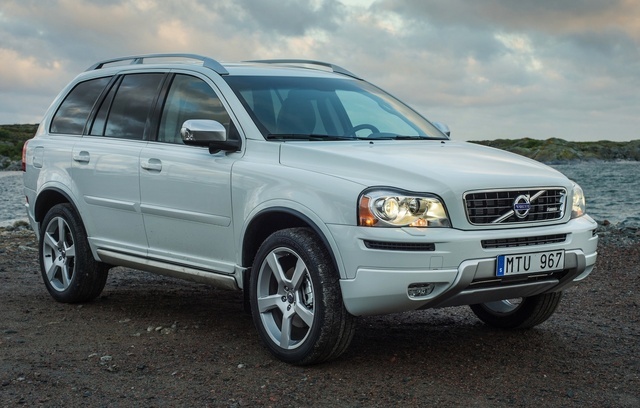 What's your take on the 2014 Volvo XC90? 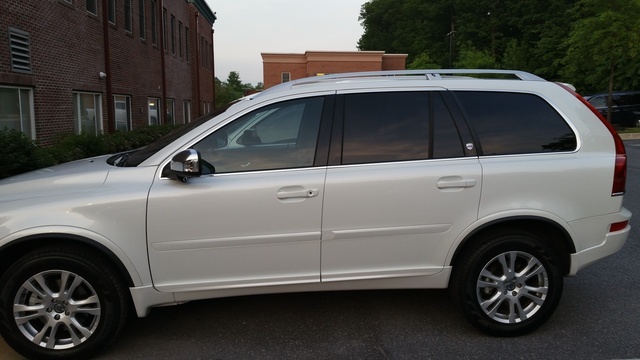 Have you driven a 2014 Volvo XC90?